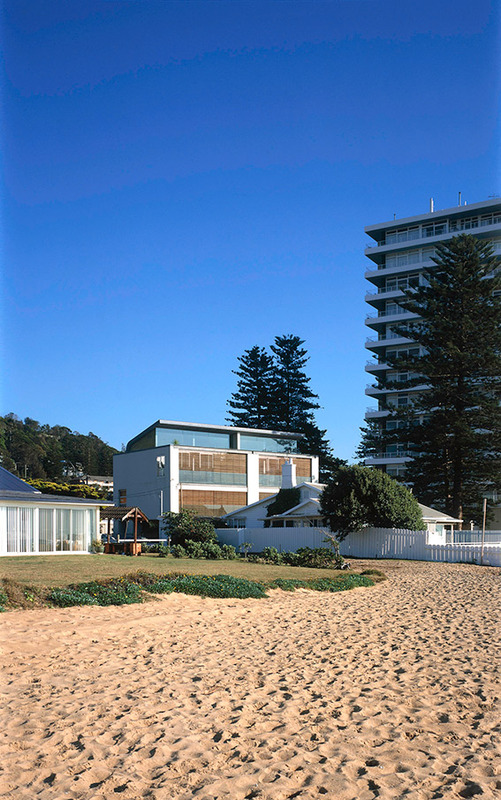 The Skidmore and Perrett houses are attached dwellings located on the beach. 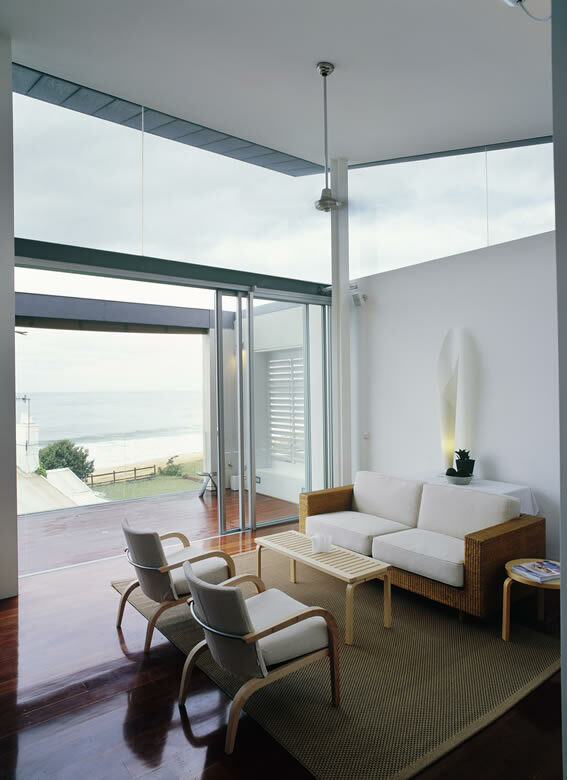 The living level was raised to the top floor to maximise the outlook to the beach and take advantage of a sculptural roof form which focuses views to the ocean. 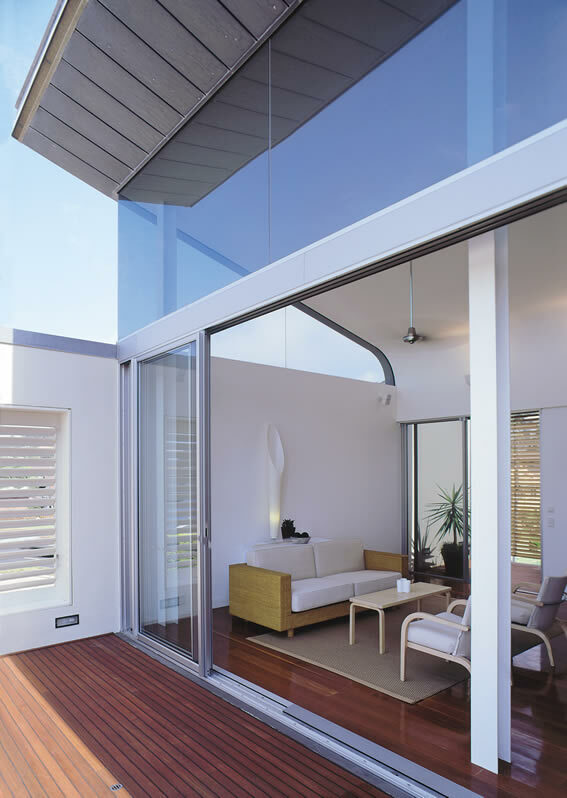 Decks on either side of the living spaces are shaded by retractable timber louvres, which visually enlarge the compact floor space of each dwelling. 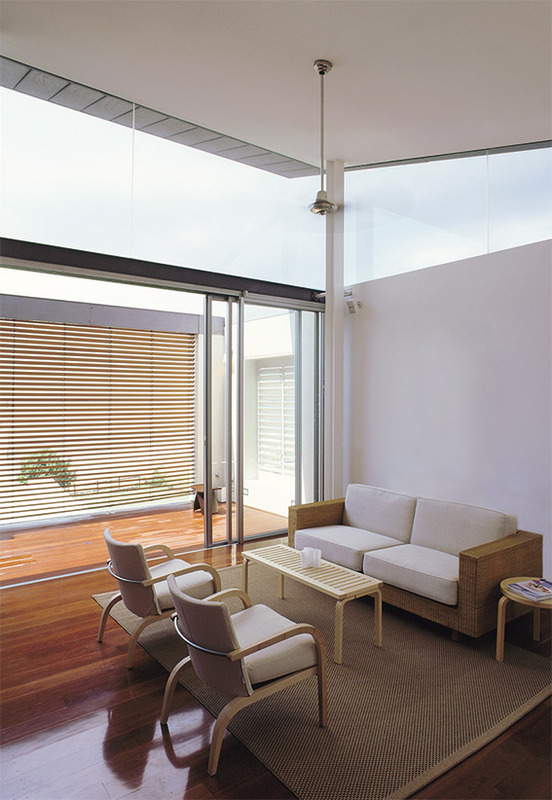 In contrast to the living spaces, the base and western façade is heavy, anchoring the building to the ground and providing a barrier to the noise of the adjacent arterial road.